Earlier this month we spent a few days in Prague. It was a 30th birthday present from Rebecca. When Franz Kafka was 30 he had already written Metamorphosis and was about to begin The Trial. That’s not to say the Prague-born writer considered himself a success, and he certainly wasn’t a literary sensation in his lifetime. 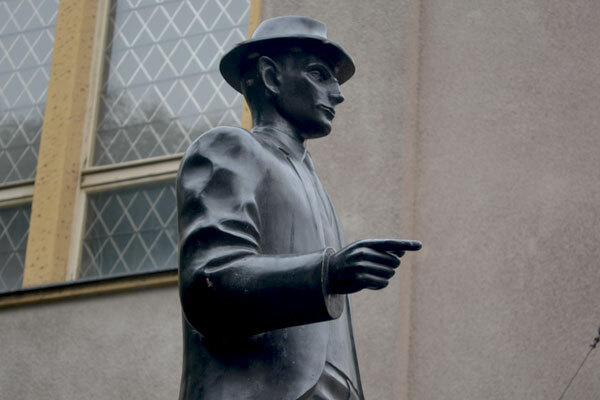 During a walking trip we visited Jaroslav Róna’s statue of Kafka in the Jewish Quarter, where he spent most of his life. 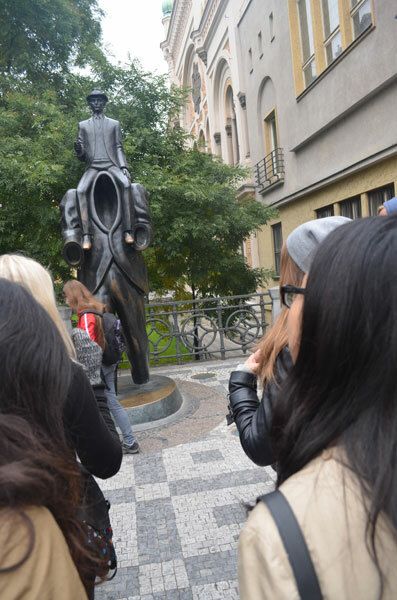 It depicts Kafka sitting on the shoulders of a giant with no head or hands, which is a reference to an account of one of the writer’s dreams, in which he is carried through the night streets by the mysterious figure. It’s certainly not a conventional tribute, and the fact that it was only erected in 2003 says something of the city’s ambivalent relationship with one of the greatest writers of the last century. As it was my first time in Prague, we covered the usual tourist sites in the first couple of days – the Old Town square, with its baroque turrets and regularly underwhelming astronomical clock, the Charles Bridge and the Castle complex. Our hotel was in a slightly shabby but interesting area called Zizkov. What it lacked in aesthetics it made up for in character. The streets could often seem deserted and quiet, but then you’d stumble across a busy bar full of locals (usually smoke-filled, which is a novelty for us Scots). I’d recommend Tiki Taky for the generous cocktails, the Akropolis for a night out, and Bukowski’s for its after-hours ambience. 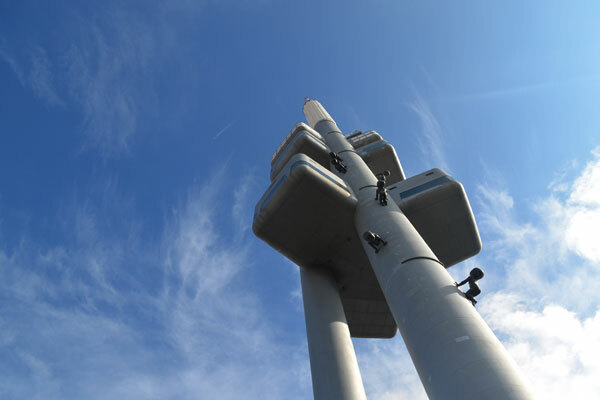 Zizkov’s most noticeable landmark is the TV tower, an unseemly structure that looks like a retro dream of a future skyscraper. The addition of sculptor David Černý’s crawling babies only makes the sight that bit more unsettling. Like anywhere, Prague revealed its best secrets when we left the tourist trail behind. It’s not difficult to see how it could have inspired the otherworldly, oppressive and often dreamlike writing of Kafka. Posted in Photography, Travel. Tagged Czech Republic, Franz Kafka, Prague, Zizkov.